A McGuire, David, and John E Hobbie. “Global Climate Change And The Equilibrium Responses Of Carbon Storage In Arctic And Subarctic Regions”. In Arctic System Science Modeling Workshop Report, 47-48. Workshop Report. Arctic System Science Modeling Workshop Report. Fairbanks,AK: Arctic Research Consortium of the United States, 1998. Hobbie, John E. “History Of Limnology In Alaska”. In Alaskan Freshwaters, 45-60. Alaskan Freshwaters. NY: Springer-Verlag, 1996. Shaver, Gaius R. “Integrated Ecosystem Research In Northern Alaska, 1947-1994”. In Landscape Function And Disturbance In Arctic Tundra, 19-33. Volume 120th ed. Landscape Function And Disturbance In Arctic Tundra. Springer Berlin Heidelberg, 1996. doi:10.1007/978-3-662-01145-4_2. Schimel, J. P, K. Kielland, and F Stuart Chapin III. 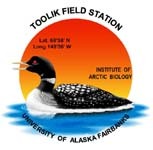 “Nutrient Availability And Uptake By Tundra Plants”. In Landscape Function And Disturbance In Arctic Tundra, 203-221. Volume 120th ed. Landscape Function And Disturbance In Arctic Tundra. New York: Springer Berlin Heidelberg, 1996. doi:10.1007/978-3-662-01145-4_10. Rastetter, Edward B, and Gaius R Shaver. “Functional Redundancy And Process Aggregation: Linking Ecosystems To Species”. In Linking Species And Ecosystems, 215-223. Linking Species And Ecosystems. New York, NY: Chapman and Hall, 1995. Hershey, A. E, R. W Merritt, and M. C Miller. “Insect Diversity, Life History, And Trophic Dynamics In Arctic Streams, With Particular Emphasis On Blackflies (Diptera: Simuliidae)”. In Arctic And Alpine Biodiversity: Patterns, Causes And Ecosystem Consequences, Ecological Studies:283-295. Arctic And Alpine Biodiversity: Patterns, Causes And Ecosystem Consequences. Berlin: Springer Berlin Heidelberg, 1995. doi:10.1007/978-3-642-78966-3_20. Shaver, Gaius R. “Plant Functional Diversity And Resource Control Of Primary Production In Alaskan Arctic Tundras”. In Arctic And Alpine Biodiversity: Patterns, Causes, And Ecosystem Consequences, 113:199-212. Springer-Verlag Ecological Studies Series. Arctic And Alpine Biodiversity: Patterns, Causes, And Ecosystem Consequences. NY: Springer-Verlag, 1995. Hobbie, John E. “Arctic Ecosystem Response To Change”. In Arctic Research Of The United States, 7:2-9. Arctic Research Of The United States, 1993.